When some people hear the word mathematics they get an instant headache. But local app developers at Mind of Khan studios have created a fan math-based puzzle game, Aquizmatics, building on an industry they say can potentially bring in millions in foreign exchange. 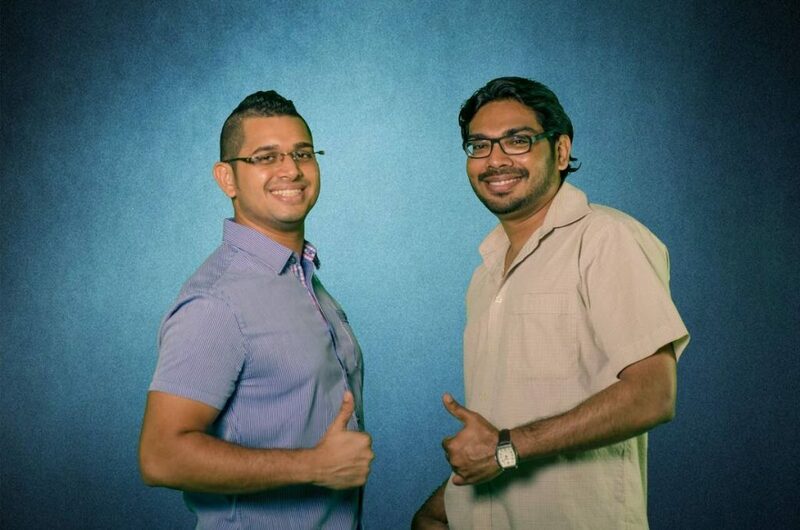 Business Day spoke with producer and creative director for Aquizmatics and director for Diamond Films Limited, Mikkel Khan, and Aquizmatics programmer and game designer Fareed Mohammed at the Diamond Films offices in Woodbrook. Diamond Films offers a variety of services in the audio-visual and communications market, including graphical and branding services, marketing/public relations campaigns and web, television, radio, print and film production. From the corporate-focused company they spun off Mind of Khan Studios to focus on Khan’s personal projects like apps, video games and novels. Khan has a degree in film theory and film production from the University of the West Indies, St Augustine and produced the films 3 Line the Movie (2011) and Sanskara (2016). He first became interested in apps as a way to increase the appeal of the movies but found he was passionate about apps and video games. He explained that unlike films, for apps the budget is not the major factor, as you can get what you want by doing it creatively. Mind of Khan began developing games in January and released the games Roll a Monkey and Nolly by Nature. Work on Aquizmatics began in May. The game took six months to complete, compared to two months it took for the two previous games and Khan said the first games were good starter projects for them. For Mohammed, Roll a Monkey was his first time using the software to create games and was therefore more experimental. He said he took everything he learned from the previous games and was able to expand and learn from previous mistakes. He recalled the original idea for the game was totally different because he was not sure about the capabilities of the software. When he realised he could add more features he decided to include educational value and make it a mathematics-based game. While Mohammed was programmer on the games Khan assisted with sound design, assets and graphics. Aquizmatics was recently uploaded on the Google Play Store and the iOS store. Khan said it got a good reception in the United Kingdom, Canada, France, Ireland and a few Scandinavian countries. He said it has also received a lot of attention from US-based teachers who like the idea of a video game application on a phone that is entertaining and educational. Khan said the main pull of the game is the “edutainment” factor. “We saw the opportunity to create something fun, educational and practical to use in their everyday lives to benefit themselves, children and students." He said people have described the game as calming and the music and feel very nostalgic. The scores of the game are posted worldwide and Khan encouraged people to try and get the best score. He described it is a "freemium" game, with the basic version free and the option to purchase the full version and receive future updates. Business Day tried out the free version and the game was easy to play but still challenging, and somewhat addictive. He said it was a good spin on the match three type games where they created something that made sense with numbers that can still test hand eye co-ordination and strategy. Mohammed said one aspect was the math skills while the other aspect is the puzzle and explained the player may have an answer but must then figure out how to express it. Khan said it is unique way to teach people math and also challenges people who are mathematically inclined. Khan said they created something that hit the right balance of education and entertainment. The game can be used in local schools as an educational tool to get children into math without it feeling like homework. He said they plan to approach private schools and public schools via the Education Ministry about creating apps tailored to their needs. He commented on the recent announcement by Education Minister Anthony Garcia about banning cellphones in schools following videos of student violence. Khan advised instead of throwing out the baby with the bathwater they can introduce something worthwhile on the phones for the students. He said while older folks may not accept it we need to work with the millennial generation who communicate a lot with phones. He said there are other local app developers and a lot of young raw talent who do not have an opening and do not know how to market their apps, making them available for free. He said, however, that merchant and selling accounts to monetise apps are not open on the local market and he was able to benefit from his Canadian/Trinidadian dual citizenship. He is urging the banks and the government to consider merchant accounts to aid app developers. Mind of Khan also plans to offer lessons and tutorials on app creation. Khan said the company has a whiteboard full of ideas for apps and it will be creating based on what makes sense now and what the market is like. He added there will be more edutainment apps-style. Like the film industry, he said the app industry is in an embryonic state, but it has potential as a foreign exchange earner. He said currently just a few thousand people are playing Aquizmatics, but it can reach hundreds of thousands or millions. He pointed out the game Flappy Bird was downloaded 50 million times and earned the creator US$50,000 a day. For more information call 221-0840 or email diamondfilmsltd@gmail.com. To play the game Aquizmatics is available for download free on Google Play Store or iOS. Reply to "Local producers hope to cash in on Math game app"